At the core of the ISO 55000 asset management standard is the concept that assets exist to generate value for the organization and its stakeholders. 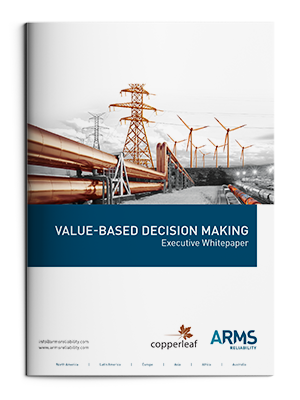 Value-based decision making (VDM) is an approach that helps organizations align decisions to realize the most value from their assets. In a nutshell, Copperleaf’s VDM approach first involves developing a value framework to comprehensively assess the benefits of every investment under consideration. This framework is then used to assess all investments using a common scale so that trade-off decisions can be made with confidence.